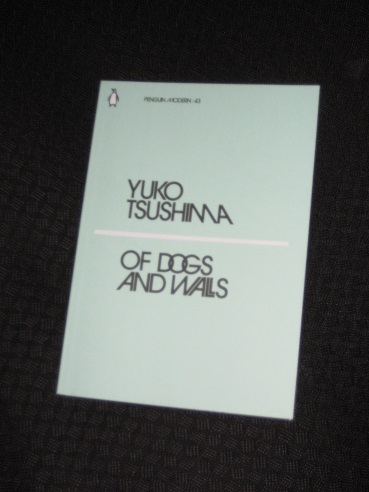 Of Dogs and Walls (translated by Geraldine Harcourt) contains two of Tsushima’s stories, one from 1983 and one from 2014. The latter is the title piece, an interesting story focusing on the narrator’s elder brother, a boy with a mental disability. The story loops around anecdotes about Toru-chan and stories of the family’s dogs, with a succession of canine companions accompanying the children through their teens (not all of whom make it through unscathed…). The first, and longer story, though, is ‘The Watery Realm’. Here, the narrator is reminded of events from her past by a plastic castle she buys for her son’s fish tank. In a clever twist, the story then allows us to hear from the narrator’s mother about the issues she’s had in her life, particularly when it comes to water. However, when we return to the original voice, we realise that the two women have very different views on the years they spent together. The two stories make for an excellent introduction to Tsushima’s writing and a pleasant hour (or half hour, depending on how quickly you read) in your armchair. There are definite connections to Territory of Light, particularly in the prominence in each piece of single mothers, and having read these stories (and the novel), I find it hard to shake off the feeling that Tsushima’s work is rather personal. Japanese literature is well-known for its autobiographical ‘I-Novels’, and Tsushima appears to be a modern-day inheritor of this literary legacy. The quantities of water I carried horrified me. It was never enough, and I was at a loss to understand why. Sometimes I thought what fools we humans are – it’s living on land that causes all these woes; if we need water so badly we should just return to it, then we’d be set wouldn’t we? 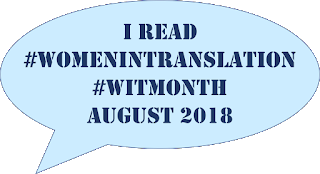 The water theme continues with stories of the children catching water from leaks in pots and pans, and allusions to a Japanese myth of a kingdom at the bottom of the sea. The daughter, having moved away, finds it hard to sympathise with the old woman’s obsession, for reasons we only find out at the end of the story. In a town whose name escapes me, I came across a small park with a freestanding wall in one corner. Brick, I seem to remember, or maybe concrete. I paused before it, expecting some sort of inscription, and saw instead an oddly shaped hole in the middle. It wasn’t immediately obvious what the shape was, but then it came to me: it was a human form. A figure in mid-stride, one arm swung forward, the other back. I’ve thoroughly enjoyed both of my recent looks at Tsushima’s work, and for those wanting more, another new translation has just appeared. Child of Fortune is a further release from Penguin Modern Classics (with Harcourt on translation duties once more), and with the story covering a year in the life of (another…) single mother, it appears that my suspicions of a personal element to the writer’s work might just be confirmed. I’ll certainly be checking this one out at some point – and I hope my posts have helped whet your appetite for her fiction, too. The translation of Child of Fortune actually appeared way back in 1983. Its reissue, however, is most welcome as it is a great first novel with themes that still resonate with Tsushima’s later works. Kaggsy – I did actually ask for this one (amongst others) when I was contacted about the series. I actually ended up being sent just three, none of which I had requested (you’ve got to love big publishers…).